Problem: You have a new leather jacket, but it’s slightly stiff and lacks that awesome worn-in quality. Solution: Put on said jacket and go outside during a light rain. This may sound crazy, but the water will soften the leather and allow it to stretch and crease at specific points, like the elbows. Bend your arms, and move around a bit—as the jacket dries, it will form to your body for the perfect well-worn fit. If you live in a dry climate, you can also try lightly spritzing your jacket with a spray bottle of water. 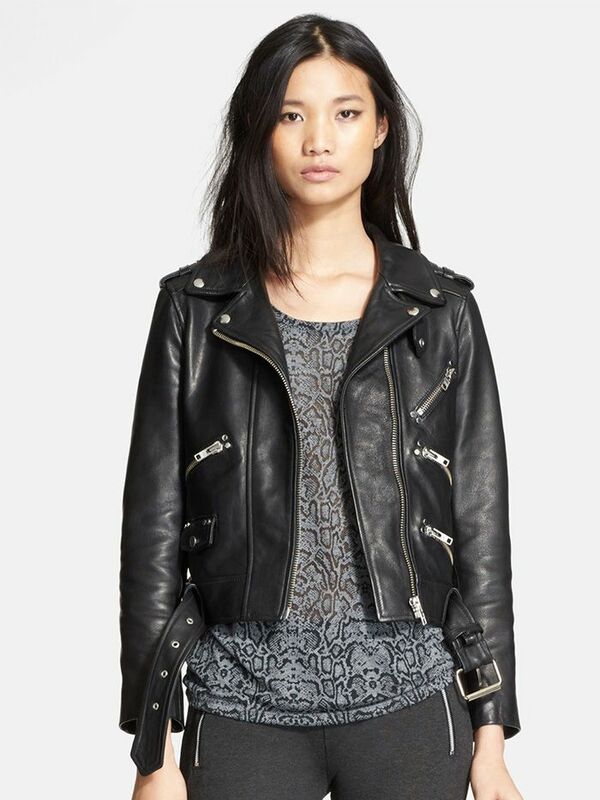 Don’t have a leather jacket yet or looking to update your collection? We’ve got you covered—scroll down to shop our picks! What other style conundrums do you have that we can help fix? Let us know in the comments below!